I was introduced to Middle Fish by my dearest Miss D, and when I saw the pictures she was posting on Instagram of the food she was having, I knew we needed to head there, ASAP! Last weekend, the mr ended early at work so I headed down to Carlton to meet him and Melissa for some deliciousness! The sky had the most beautiful shade of blue and excited couldn’t really describe how I was feeling when I got there! I love love love the entrance to the warehouse converted restaurant, so welcoming! (: The colours of the signage and furniture just pops out and everyone there were so friendly. The moment I stepped in, I was greeted by the owner, Pla, who has the most infectious smile and oh-so bubbly. You just feel so comfortable and just an amazing atmosphere! One side of the restaurant had booth seats and the other was a mix-match of tables and chairs which made the place so vibrant. I was so ready to order and feed our hungry tummies the moment I sat down! Truth is, I was salivating just looking through what the had to offer! 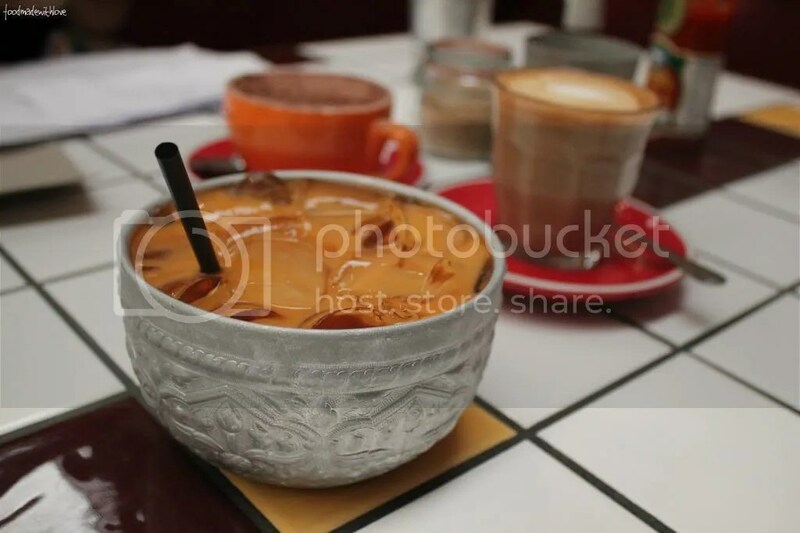 Had to snap another shot of my thai ice milk tea, just cause I love the metal bowl so much! 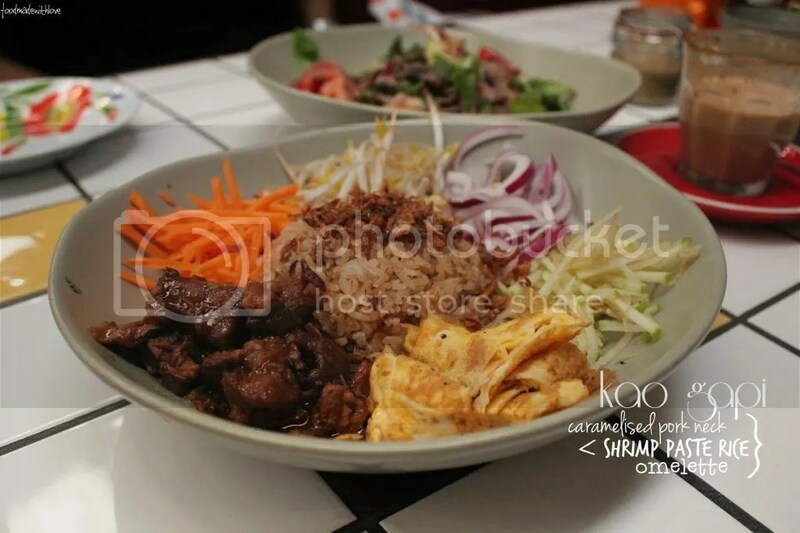 And it was quite a big bowl as well, I almost couldn’t finish it after scoffing down all the food we ordered. hehe But I did, every single drop of it! 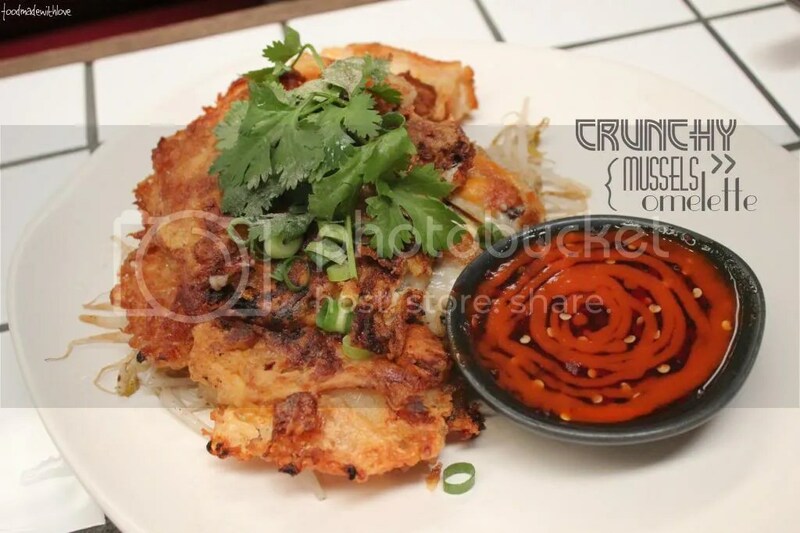 This, my lovely readers, was our favourite dish of the day : Middle Fish’s famous Crunchy Mussels Omelette. 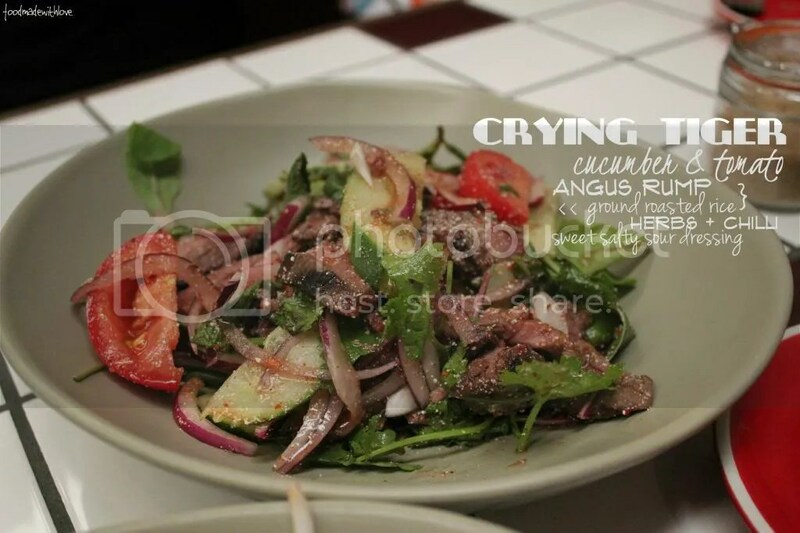 Before Pla placed this dish on the table, she did a short dance and almost sang the name of the dish and told us it’s their best dish at the restaurant in her opinion, but we TOTALLY agreed! The outside layer is so crispy and there is a “crunch” with every bite/chew! The middle had the texture of fried carrot cake and there was a generous number of juicy mussels! 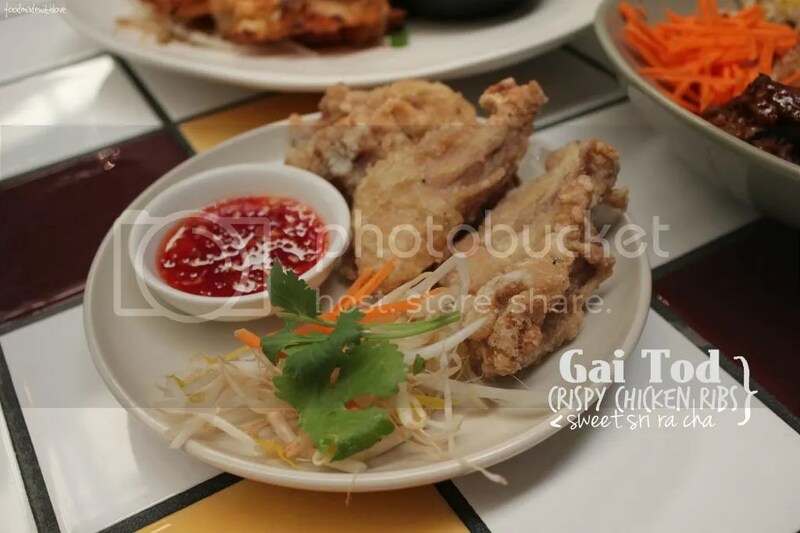 With a similar sauce to the crispy chicken ribs, it was a match-made in heaven and we couldn’t stop singing praises about it! It was a pity that we were too full to try the desserts they had to offer. But I’m sure we will be back again and the next time, we will! 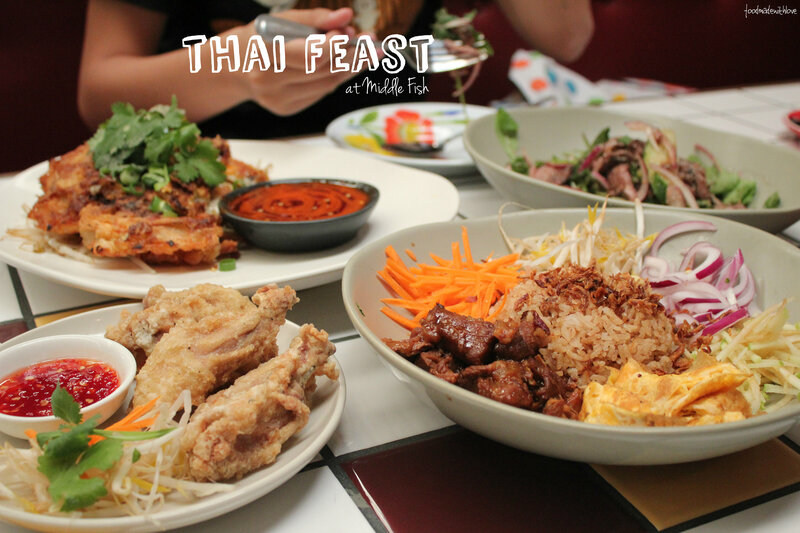 (: If you love thai food as much as I do, do visit Middle Fish and let me know what you think! Do note that they are only open 8-5pm (Monday-Friday) and 10-4pm (Saturday & Sunday), and they have breakfast too! Ok! I love this blog post very much. 3. 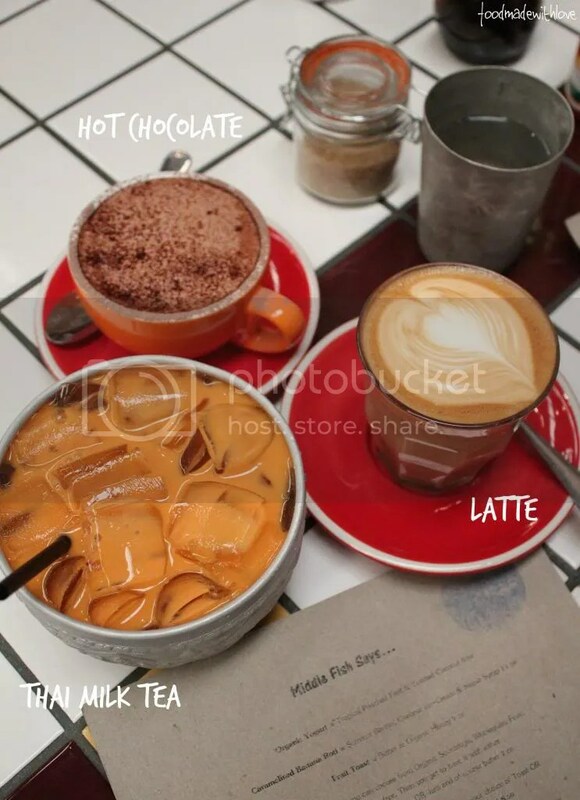 Loving the composition of your photos! 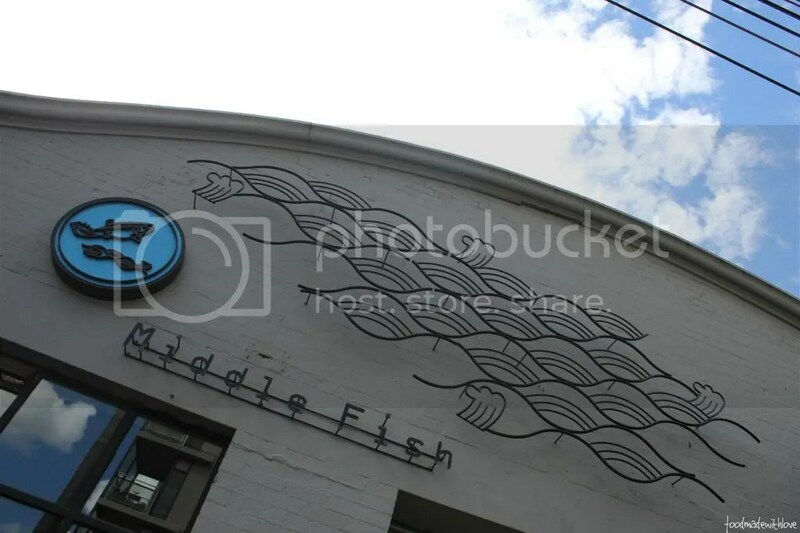 i used to work at Melb uni and I miss my occasional lunches at Middle Fish! A great Friday lunch meal to celebrate the end of the week. And i love that they do REAL spicy. 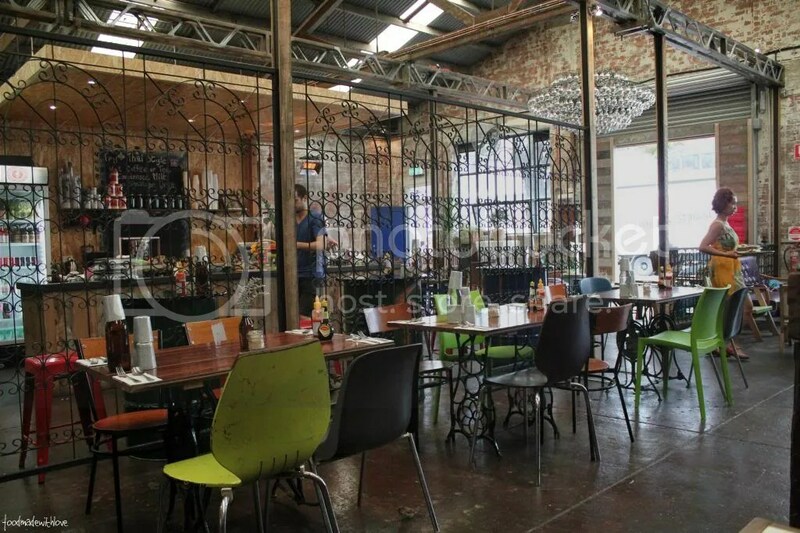 Ok… Checking it out the next time I visit Melbourne! 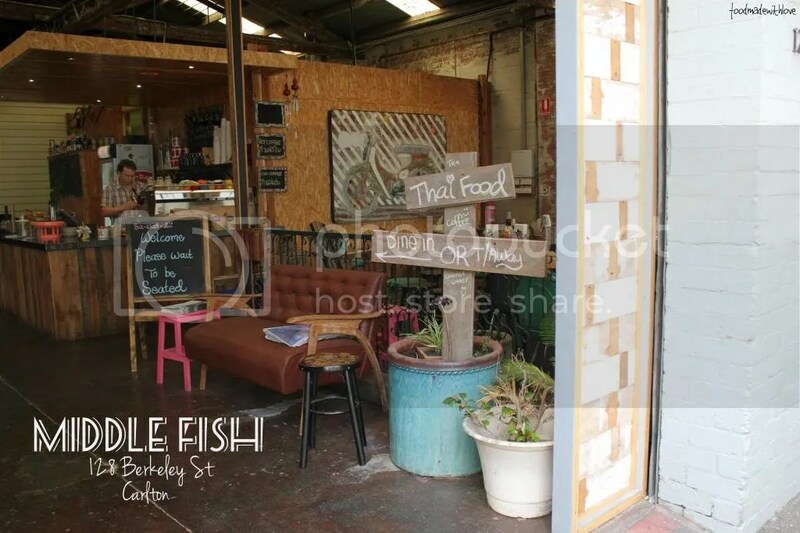 Oh I do love Middle Fish.. so happy with their Southern Thai options!